Rich Mix is a five-floor creative arts complex in Bethnal Green. Set up in 2006 in a former garment factory, the cross-arts centre aims to provide an accessible artistic programme to the diverse East London community. 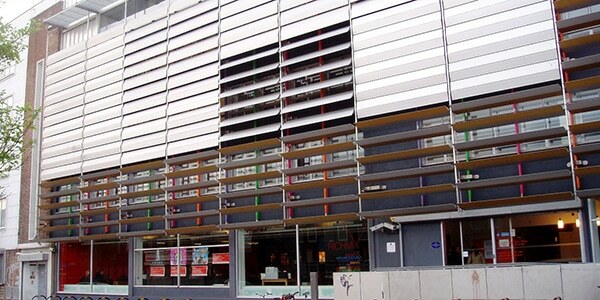 The centre provides an extensive cinema programme, music, comedy, poetry, spoken worse, dance, storytelling, fringe theatre, scratch theatre, and art exhibitions, as well as providing a hub for a variety of arts festivals. Rich Mix also offers a variety of opportunities for under-25s, including workshops, showcases, seminars, reading groups, and networking events.